Set of 6 decorative self-adhesive base plates for Canik TP9 series magazines. Select either SFX or Elite from the drop down menu. 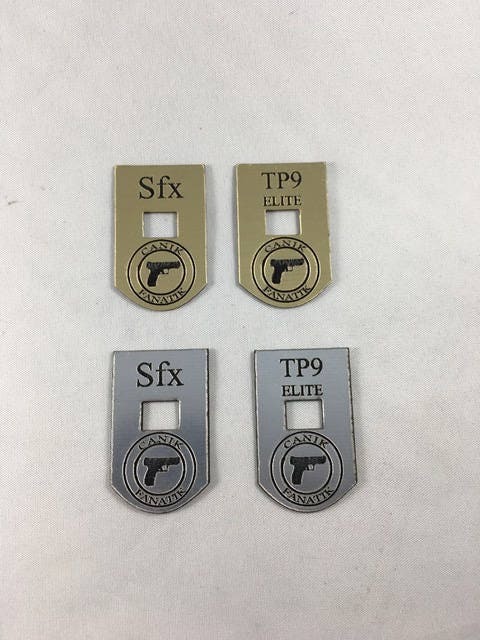 Follow instructions when applying to TP9 magazines. These are not base plate extensions. Base plates are produced by Tejas Products.